Getting up at 6am on a Sunday is completely out of character for me. But the 29th of April was a different kind of Sunday! 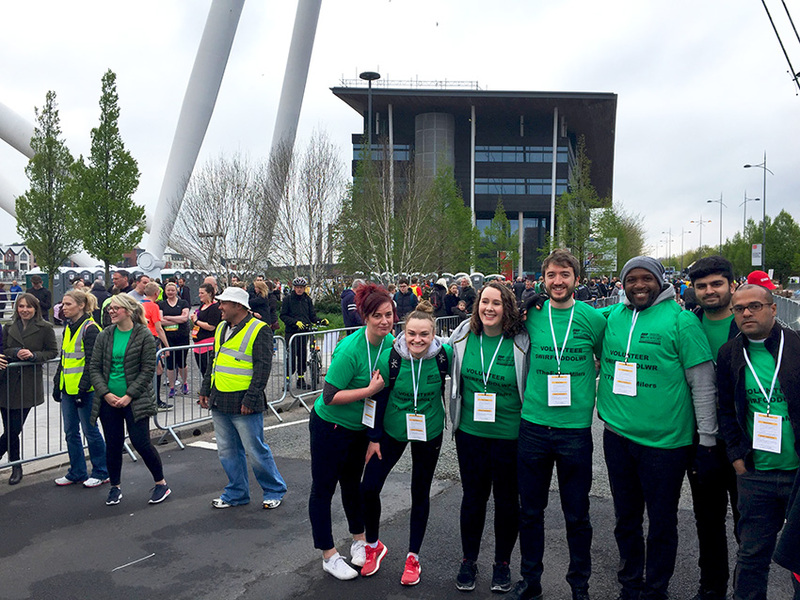 It was the first ever Newport Marathon and 10k, and I was volunteering at it along with some friends from the second and third years of the podiatry degree course at Cardiff Met. 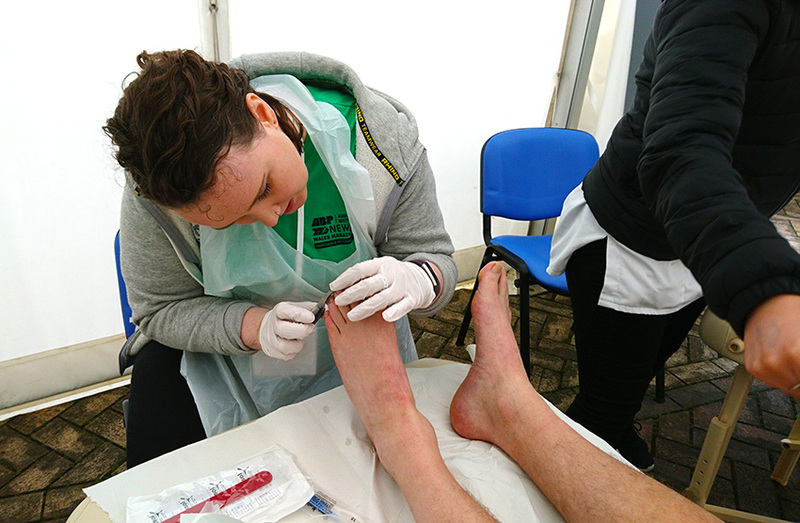 One of our lecturers, Dr Jane Lewis, was running the marathon herself and had arranged for some of us to come and offer podiatry services to the runners after the 10k and marathon. We borrowed some couches from the complementary healthcare course and brought along some equipment from the university’s podiatry clinic. We were ready to treat blisters, sprains, detached toenails and painful callouses. The team near the start line. The atmosphere was amazing! We helped with marshalling the event too, directing the marathon runners to their starting pens. Watching everyone get themselves in the zone before the race started was inspiring, as were all the people running for charities and causes close to their hearts. We also let them know that we were ready to treat their feet should they need it when the race was over! I spotted a gentleman ready to complete the marathon barefoot – unfortunately he didn’t come to the athlete’s village after the race, but I was curious as to what sort of state his feet would be in at the end of his 26.2 miles with no trainers on! After all the runners were off, we made our way back to the athlete’s village and continued setting up our tent. 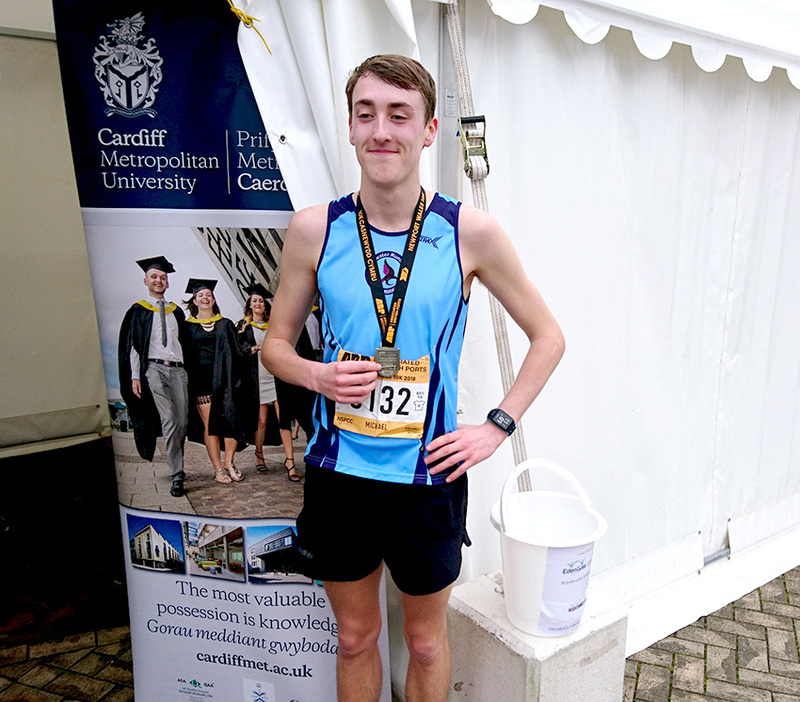 The 10k race started just after the marathon, and 3rd year Podiatry student Mike Lewis was competing in this. He finished in the top 20 and made sure he came over to our tent so we could congratulate him. We had a few patients from the 10k race who needed some nail care and advice for musculoskeletal conditions. They were very glad for the relief we gave them, and it was something different to what we’d normally see in a clinic environment. We were joined by two NHS staff members from the Cardiff and Vale and Cwm Taf University Health Boards to supervise us, as well as our lecturer Joanne Fawcett. Hard at work in the Athletes’ Village! 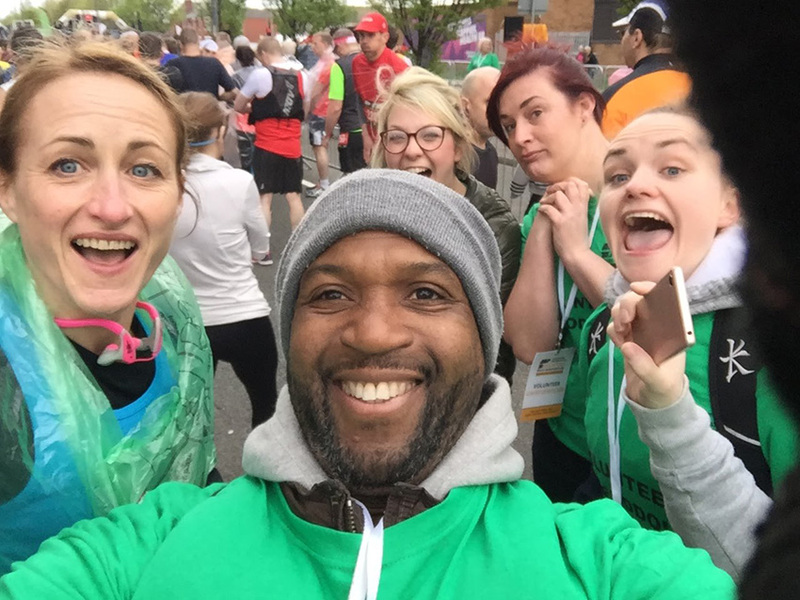 The event was so well organised, and considering it was the first time Newport had hosted a marathon, I was impressed with how smoothly it ran and how professional all the volunteers were. 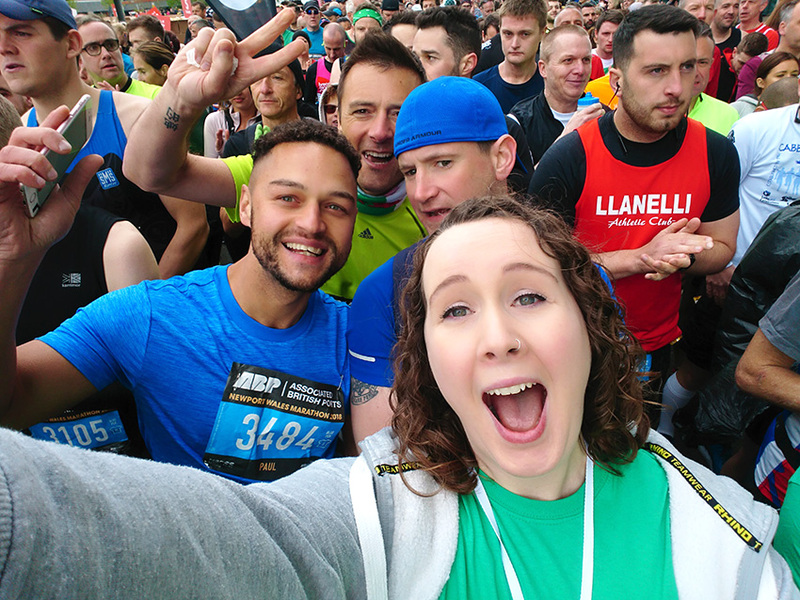 The Run4Wales app was great too, as it meant we could track how Dr Lewis was doing in her marathon – she came 2nd in her age group, a fantastic achievement and we are all so proud of her! While I am in no hurry to train to run a marathon myself, I am certainly inspired to volunteer at future races. It was an inspirational and varied day, and seeing people overcome physical and emotional hurdles to complete their races was really quite a moving experience. It was hard not to get a bit overexcited by it all! 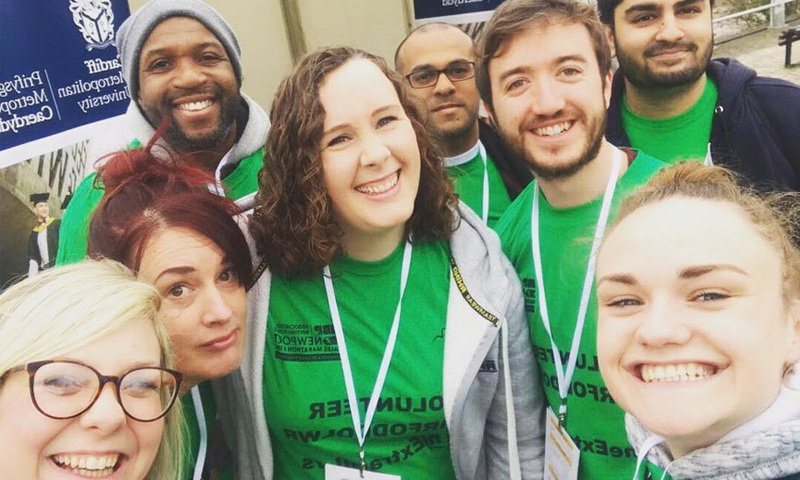 If you’re thinking of a career in sports or health sciences, then volunteering at an event like this is definitely a worthwhile addition to your CV and will provide you with a unique experience.